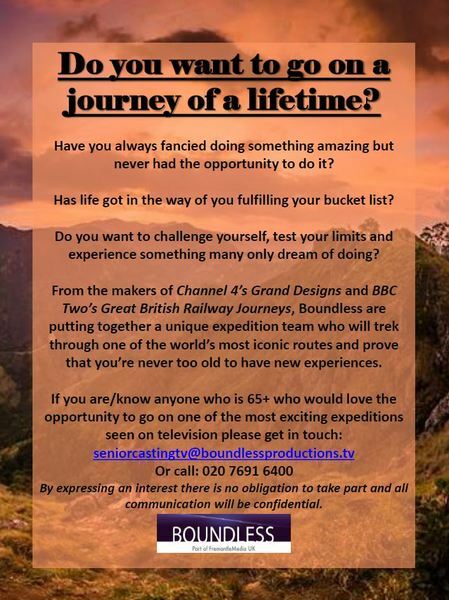 An amazing opportunity for those 65+ who want to go on an adventure! I read this and immediately thought of greatnan, it sounds as if it would be just up her street - who else might be up for it I wonder? 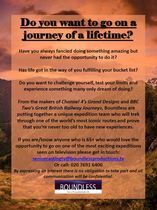 It would be great to have the non-edited feedback from a programme like this.